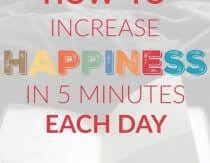 Heather Dessinger 5 Comments This post contains affiliate links. Ahhh, the holidays . . a time to deck the halls, trim the tree, and hide your dirty dishes in the oven when your in-laws stop by for dinner. Oh, and gorge yourself on butter pecan cookies after the kids go to bed. You know I like to DIY everything from deodorant to detergent to shampoo, but there are only so many hours in the day, and this is the time of year where things become a blur if we don’t deliberately slow down. That’s why I give myself a pass or two (or eleven), and I think you should, too. 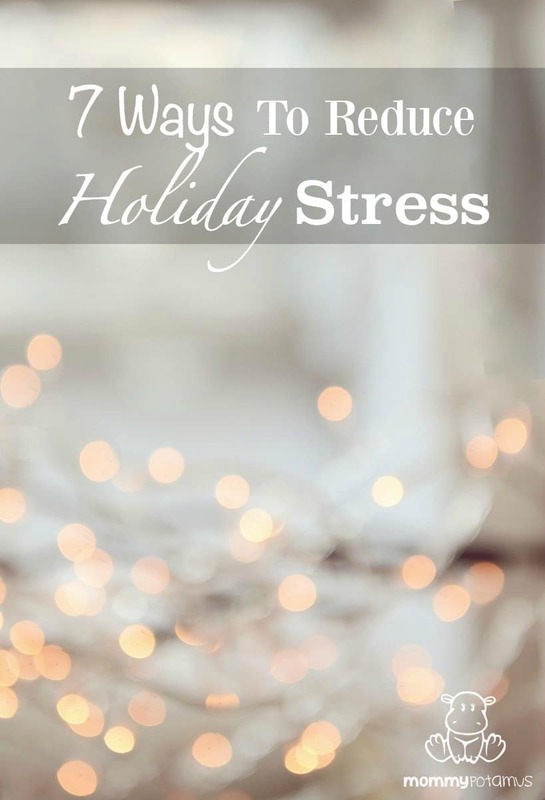 With that in mind, here are some ways to simplify your life for a stress-free holiday season. Take what works for you and don’t worry about the rest! Stephen Covey once said, “The key is not to prioritize what’s on your schedule, but to schedule your priorities.” Now this may sound a little woo, but trust me on this. Close your eyes and take a few moments to think about what you want most this holiday season. Schedule those things first, and give yourself permission to say no to non-essential activities that sap your energy. For me, this means buying the most environmentally friendly cleaners available instead of making my own, and keeping a stash of compostable paper plates for extra busy nights. By choosing to let some things go temporarily, I am able to create time for what matters most to me – decorating cookies and making salt-dough ornaments with the potami. Treasure hunts are fun, but not when you’re looking for that gift idea you either wrote on a Post-it note, scribbled on the back of a receipt, pinned or emailed yourself. To make sure you don’t forget someone, use a phone app instead. In addition to helping you get organized, it’s a great way to track expenses so you can stay within your budget. Not sure how to get all your holiday cooking done and still have time to see friends? Do them together! Throw a freezer meal prep party and you can sip tea (or wine) with friends as you make a week’s worth of meals in one fell swoop. 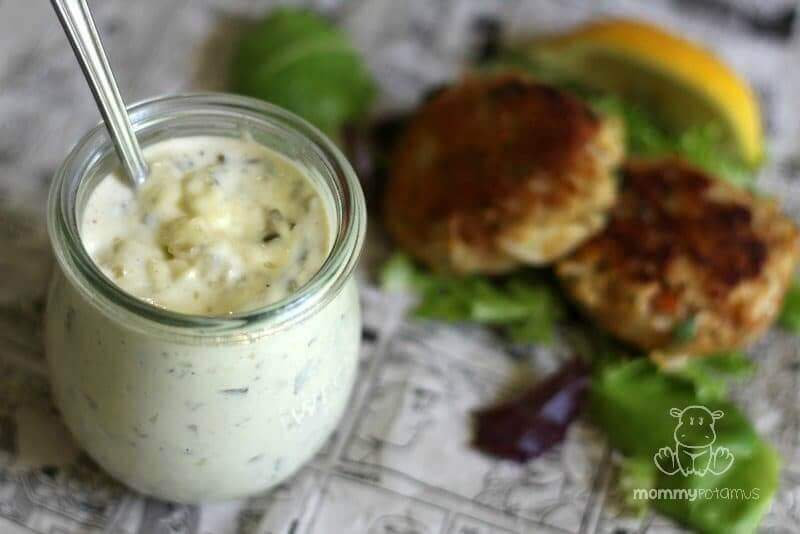 There are lots of great recipes listed at the bottom of the freezer meal prep party guide, but if you need more ideas check out Make Ahead Paleo. It covers everything from freezer meals to road trip food and one-pot meals you can make in a hotel room. The party prep guide will also work for a DIY gift making party. 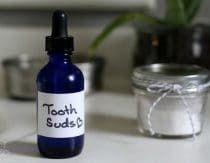 Lotion bars, body scrub and lip balm are all very easy to make in big batches, and you can save money on each gift by buying ingredients in bulk. 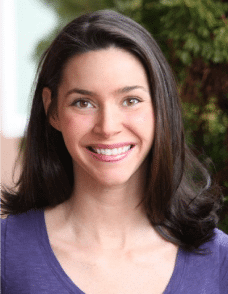 When Levi was born, Kristen of Food Renegade messaged me to let me know that although she couldn’t make the 860 mile trek required to drop off her delicious queso, she was sending the next best thing – ready-made meals via Pete’s Paleo. The price per meal is definitely higher than the typical home-cooked meal, but they do all the shopping, prep and cooking for you. If the source of stress in your life is more about time than budget constraints, this may be a good option. Whether it’s to reduce the amount of time spent shopping or stay within budget, agreeing in advance to limit gifts takes the pressure off. This can mean agreeing to a max amount spent on each individual (many families set different amounts for adults and kids) or a max number of gifts. Think quality over quantity. What do you know about each person that you can lovingly acknowledge within the budget? It may not feel like a time saver while thinking through each person, but the budget limit should reduce stress and the need to keep shopping after you’ve already picked out a thoughtful gift. Shopping with a mug of homemade hot chocolate – or even a tea made with herbs that help the body adapt to stress – in your hand is much more fun than circling a mall parking lot for 30 minutes in search of a parking space, right? (Right!) Of course, if you’re like me you’ll still want to get out for a bit and soak up the festive atmosphere. My favorite way to do that without getting lost in the mall labyrinth is to visit a few small, locally owned shops in our town square. 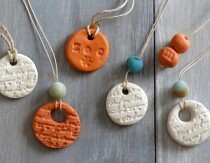 It’s a great way to support the local economy while also finding unique, thoughtful gifts. 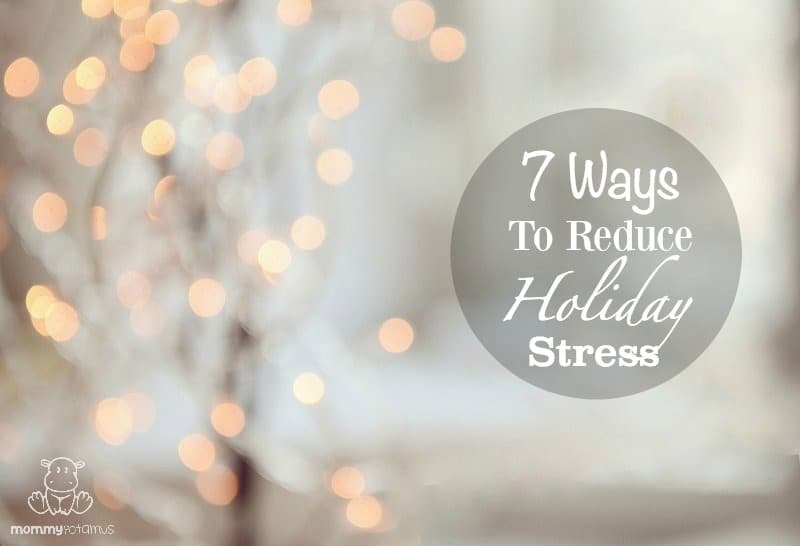 Do you have a tip for reducing stress during the holidays? Please share it below! Thanks for the great tips. I was looking for #7, but then saw the last 2 are both numbered 6, lol. I always like to hear your perspective! You have an awesome blog, and have helped me immensely in starting out making homemade soaps and lotions! Thank you! We have decided to do things a little different this year…for the adults we have drawn names and we are all making the Christmas gifts this year! A whole lot less stress to have a whole year to make one gift. I have heard comments from my kids (grown) that they are finding this Christmas to be a whole lot less stressful. I will still have the family over for a big dinner of course and that is the best part about Christmas anyway. Love the list! I totally get overwhelmed by everything I have to get done around the holidays – I love the idea of using an app to keep track of things and make lists! I normally write everything down, but an app would be so much more efficient and convenient while shopping!